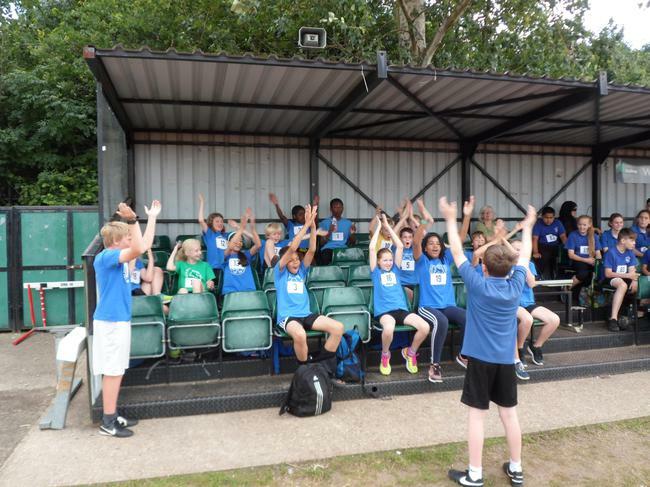 Today the Fielding Athletic team went to Perivale Athletics club to compete against 14 other school teams in this years athletics competition. We competed across a variety of track and field events and found some individual success in many of those events. A big well done to everyone who took part today and helped the team to achieve a top 5 finish. As the team was largely made up of Year 5s we could be in a good position to improve on that finish in next years event. 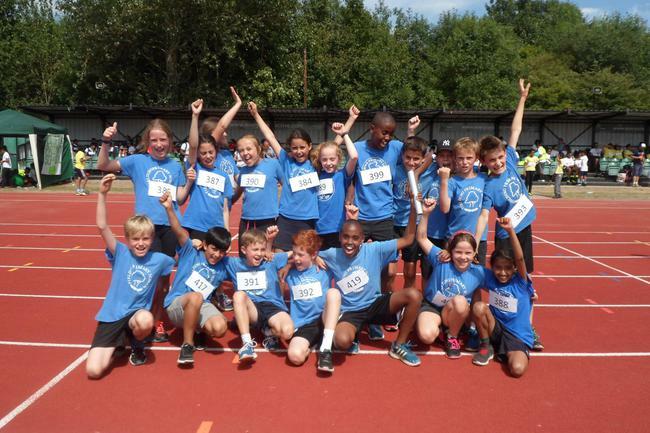 Today we took 18 of our Year 5 and 6 pupils to Perivale Athletics track to compete against 15 other schools in this years competition. Our first rotation today was the throwing events so we sent Chloe, Millie, Joe and Ahmed over to the javelins and Daisy, Emily, Suleman and Zak over to the shot puts. As expected we saw some fantastic throwing from everyone and found success in both events. 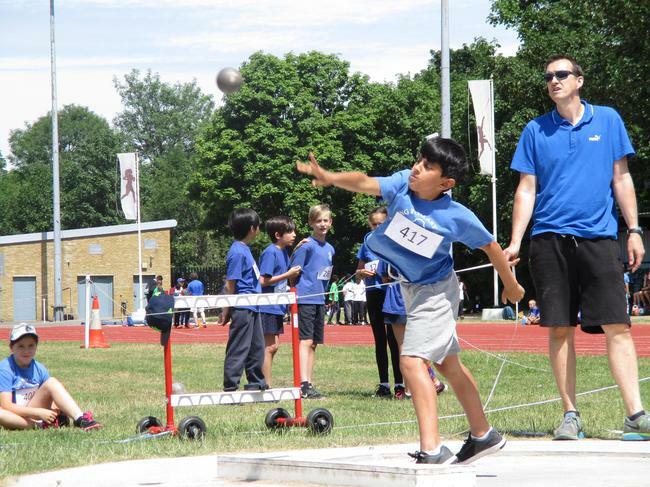 Suleman won the boys event in our group and later found out that he had the third biggest throw of all 15 schools so won bronze. 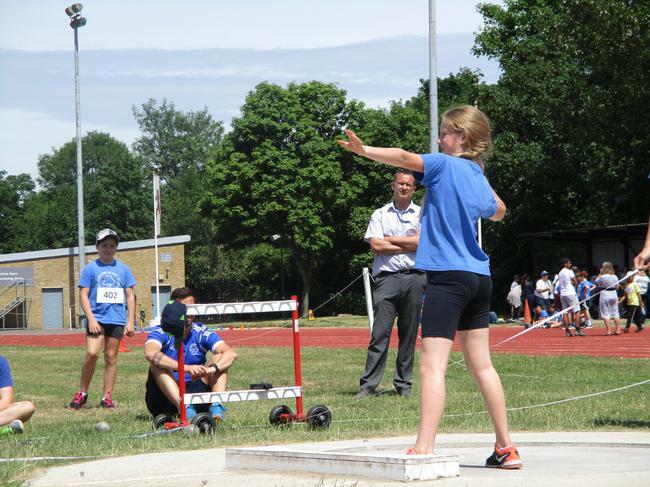 Chloe beat all of the other girls in javelin in her group and later found out that she had also beaten the distance of all of the girls in the other groups and so picked up a gold medal. So a great start from our throwing team! Next up it was the turn of our track competitors. We started off on the 80m sprints with Chloe, Millie, Oliver and Harry. Every race was quick and the best finish we had was a 2nd place in finish from Chloe in her race. All of our other sprinters finished 3rd to give us an OK start. Competing for us in the 150m was Emily, Oona, Joe and Suleman. Again the races were run at lightning pace, particularly the girls races which were both won by a big distance by Selbourne girls. The best we managed across the 4 races was a 3rd place finish. Finally on the track we moved onto our longer distance runners with the 600m. Riya and Marta raced first in a field of 10 girls and looked good as they were 1st and 2nd going into the final 150m. But then 2 more Selbourne girls kicked on from behind and we finished 3rd and 4th. A very quick race though as all 3 medals were awarded to our group which meant Riya won bronze for 600m. For the boys we knew we had 2 very good runners in Alec and Will and both boys looked comfortable throughout as they led the majority of the way and finished with Alec in 1st and Will in 2nd. At the end of the day we found out that Alec's winning time was the 3rd fastest of the day so he collected a bronze medal for his efforts. Next we were back to the field events with our jumpers. Riya, Oona, Alec and Eliott were set to compete in the standing triple jump for us while Grace, Marta, Sam and Harry were representing in the long jump. Both events were very tough but we again had some success. Alec had the third biggest triple jump of the day so got another bronze and Marta finished the day with the second longest long jump so came home with the silver. Finally we were back on the track with our relay team of Emily, Chloe, Harry and Oliver. As with most of our other sprint races today we finished...third. Still a very good day for all of us with some good individual success for some of our athletes. Well done Fielding! 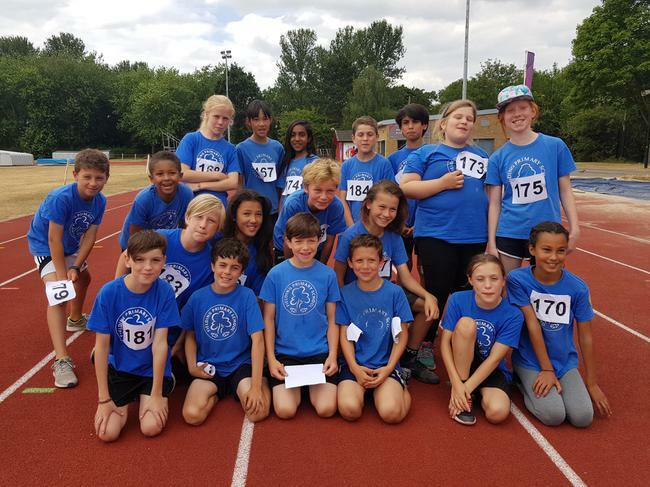 Today we took 18 of our Year 6 athletes to Perivale track to compete against 13 other schools in the annual Featherstone Athletics competition. 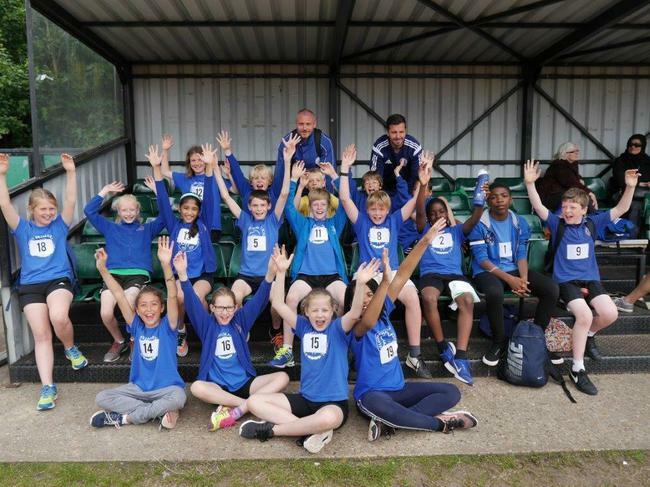 We had a great day out and competed in the 80m sprint, 150m sprint, 600m, javelin, shot put, long jump, standing triple jump and mixed relay. We started off on the track events and were treated to some fantastic racing. 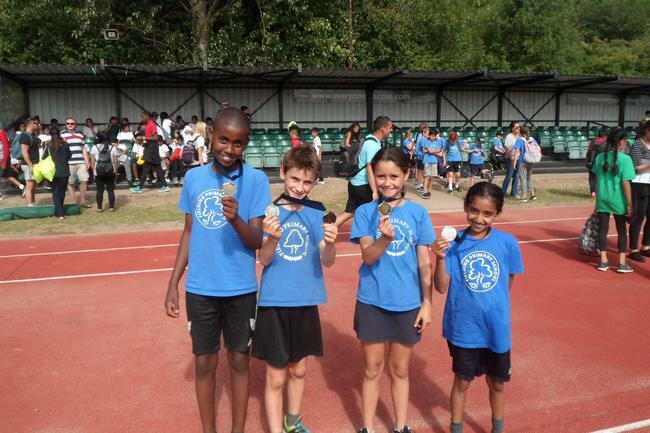 Anu and Paul both won their 80m sprint, Noah won his 150m sprint and Josie won her 600m race. We also saw Maxi narrowly beaten to 1st in the boys 600m. The rest of our track athletes also ran brilliant races but came up against some very good competition from the other schools. Our next set of events was the jumping events so it was over to the sand pits. 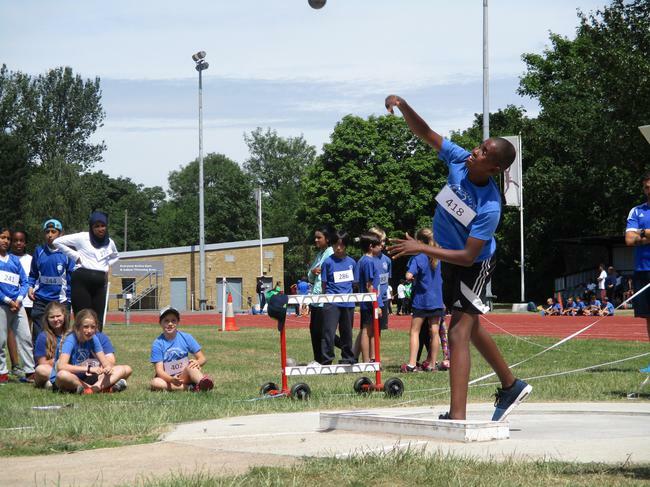 Again we had some great performances here with Cameron and Mahek winning the boys and girls long jump with jumps of 3m 90cm and 3m 80 cm respectively. There was also some good news from the standing triple jump pit with Paul claiming second for the boys with a jump just shy of 6m. 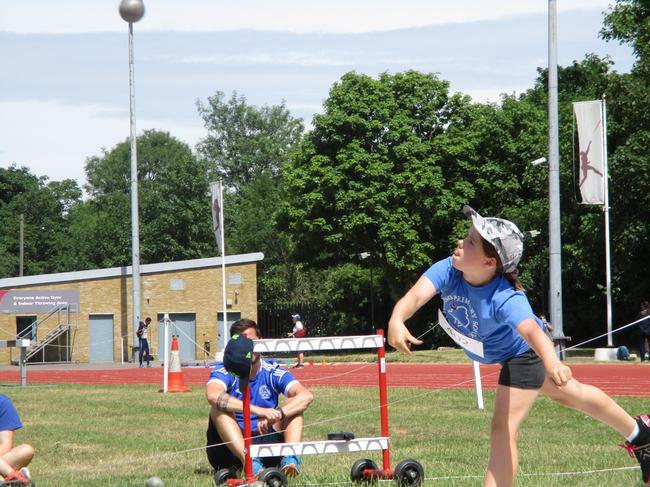 Our final set of events was the throwing events and so we sent our 4 javelin throwers and 4 shot put throwers over to their areas. The standard at both events was extremely high and we struggled to make any of podium places. However, our guys still threw really well and should be pleased with their performances. The day was ended with the mixed relay which was contested for us by Anu, Jessie, Lucy and Noah. We were drawn in pot 1 which was full of the top seeds so we knew it would be quick race. After some last minute practice on the track the guys lined up. As expected the race was ran at a super pace and we crossed the line in third place. After all of the results were added up and scores had been calculated we were given the overall standings...we didn't win this one! But we still still came third, narrowly missing out on second by just 4 points. Our athletes should be proud of their achievements and we hope they all build on their passion for athletics in secondary school next year.